DRAFT: E-Design — Stevie Storck Design Co.
After your completed Homework is received, I'll send you 2 preliminary Mood Boards to choose from. Think of these as the first draft, which we'll use to fine tune the design direction for your project. You'll be fully involved in the creative process to ensure that the final design fits your unique personality and lifestyle. 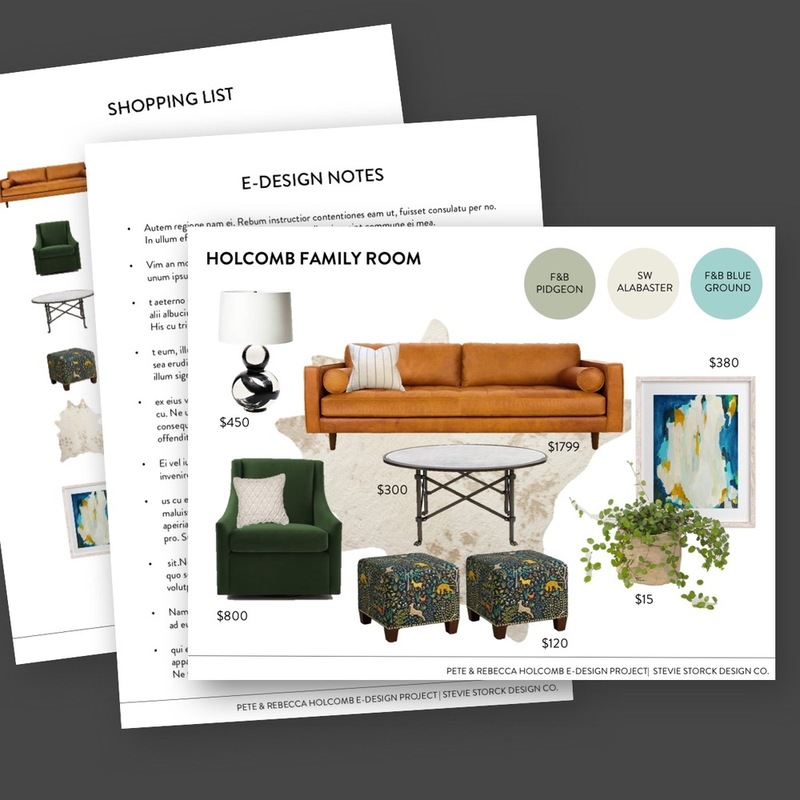 At the end of the E-Design process, I'll provide everything you need to implement your room makeover: drawings, shopping resources and my tips for putting it all together. Complimentary "Welcome Box" mailed to you with your E-Design Homework + extra goodies from me! Detailed instructions for how to arrange and style your new pieces to complete the transformation!